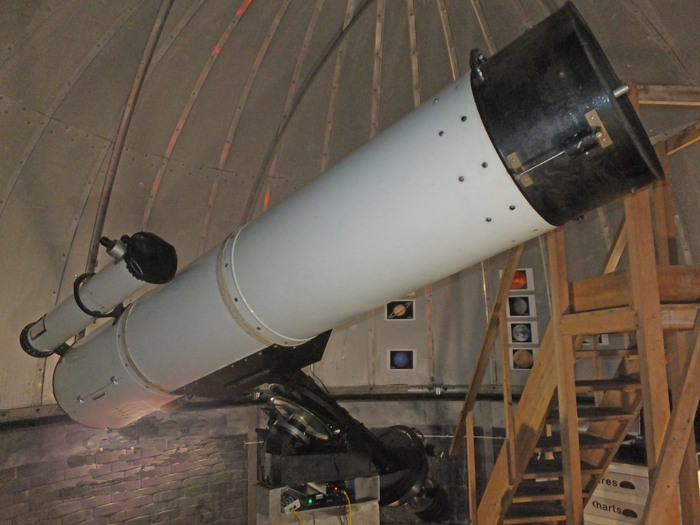 The SkyWatcher Traditional Dobsonian series all have parabolic mirrors. I have a 8" f/7.75. (62" FL) mirror on order. It is to become my retirement project .. a high performance visual dob. Probably do a solid tube but, am researching different design options for best thermal and optical performance. I have an 8” F9 OPT Planet Pro, no longer made, unfortunately. It’s a truss dob with the tube parts made of sonotube. I’m looking into converting the upper tube assembly to aluminum to improve the balance. Parallax Instruments has a good selection of aluminum tubes. Another option is to make a split-tube aluminum dob using Discovery hardware. Edited by Galicapernistein, 24 January 2019 - 09:28 AM. 😲 wow. Would love to have seen that! A fellow observer - President of the local astronomy club at the time, about 25 years ago - had a 14" f/7. I just remember having one view through it, all I remember is that it was very sharp. But he developed an interest in motorcycling and apparently left the hobby. That would be a dream scope for my taste. But the size of the tube would be a killer and too heavy to mount up. 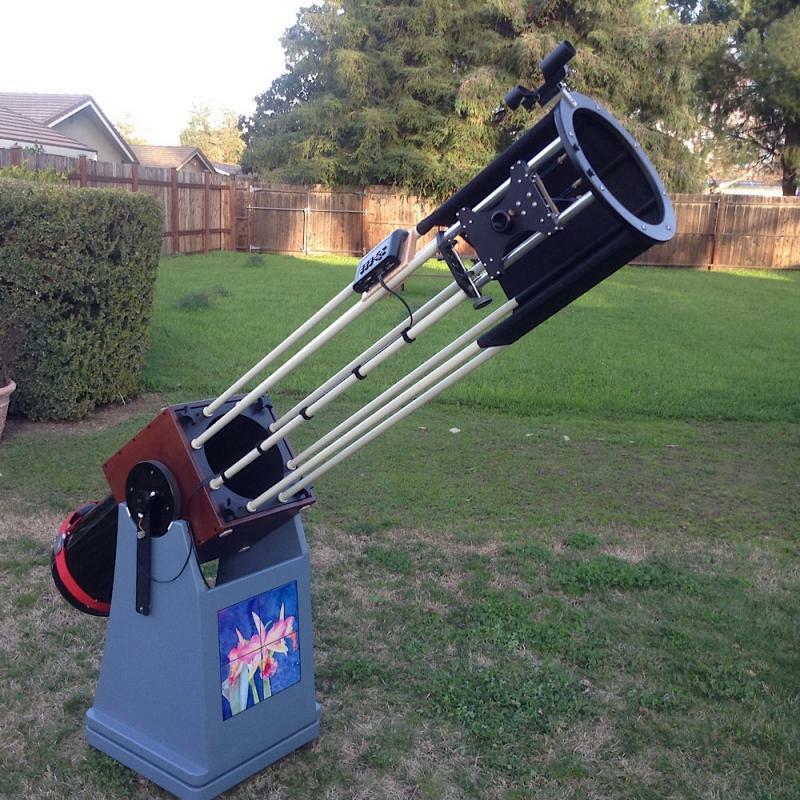 I think the perfect scope for me would be a Dob in the 18 to 20" size and a speed of F/6 for my planet viewing. Since i would only a few objects a nite moving a ladder would not be a problem and i grew up with a 10" F/9.6, so ladder scopes are my thing. Since the site was last updated, its mirror has been serviced for what is likely to be the last time of usefulness, perhaps it has had to be re-figured too many times. The mirror was probably hand ground originally. Edited by 25585, 25 January 2019 - 02:05 PM. I remember, long ago, the Syracuse Club had a Cave Astrola Professional Model in a big roll-off, at their nice rural site. That was really huge, for that era. All I remember was that it looked LONG, awesome, and pretty cumbersome. Now, I've got a 36-inch in a dome [I may have shyly mentioned that once, twice or a hundred times]. My 36 is F/3.75 on a Dob GoTo etc... compact for so much aperture [he feverishly said]. The Lick 36-inch is 57 feet long! "Ha ha Ha HA Ha ha heh... snort"
That would be a back breaker for sure to mount up. As I recall, it was a truss, not a tube. I had a 14.5" F/6 in a Parks Tube and i had to rig up a way to roll it out and line up the ring mount bolts with the saddle holes as there was no way i could lift it up to mount up. A 16" OD tube it just too big to grab and lift up. The name of this thread sounds like a Little Richard song. Here's my 8" f8 on a dob mount. I've gotten some not so nice comments on the classics forum for putting it on a dob mount. It's so much better than the inadequate gem it came with. 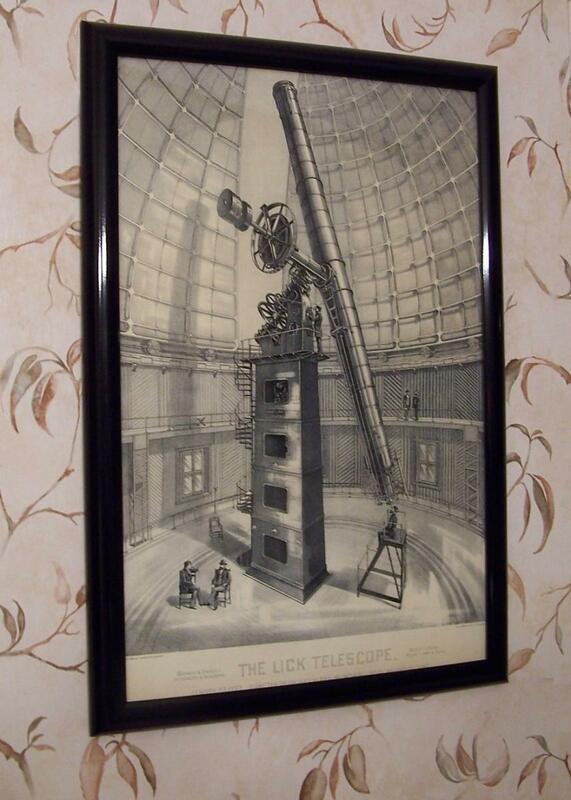 This is my largest aperture telescope. It doesn't fit in any vehicle I own but not because of the OTA, because of the mount. I have to transport it in my dirt bike cargo trailer. I have an 8” F9 truss on a dob mount, and I have no problem tracking. I had a 10” F5.6 Discovery dob that put up great images, but in comparison to the 8”, it just couldn’t compete at high powers, so I sold it. For me, a GEM isn’t something that would be worth the trouble. I take it the entire OAT can be moved along the altitude cradle for balance? Are the silver objects trimming weights, or knobs for securing the OTA? Those are the original criterion knobs and yes it can slide in the cradle about 3". I just jumped on the longer focal length reflector band wagon. I have a ton of f/4 to f/5 newtonians, and I’m tired of having to screw with a Paracorr all the time. So before their gone, I just ordered a 4 1/4 inch f/8 Celestron Power Seeker and the 6 inch f/8 Skywatcher dob. We’ll see what they can do. Looks great! Never mind retroists, your mount is fine and practical. Unfortunately, there aren’t any options for non-mass produced slow dobs above 6” anymore, that I know of. But I think you’ll find that a 6” F8 can easily outperform an F4 or F5 of the same size. Im sure that at least one of the current mirror and scope makers would be happy to do a long scope if someone were to ask for one. Edited by TxStars, 04 February 2019 - 04:41 PM. After six pages of this... notable that we may be (understandably) reacting to the Ultra-Fast Ultra-Light binge of the past few years. Scopes that are like two-foot window glass mirrors, Short as an oil drum, tentatively held together with broom sticks and twine, and blow around in the wind like tumbleweeds... Like all things... taken beyond reasonable extreme... just for the sake of it. Maybe long slow Newts and long slow achromatic doublets will return to prominence! Edited by starcanoe, 04 February 2019 - 05:05 PM. One of my mottos is "newer isn't always better".